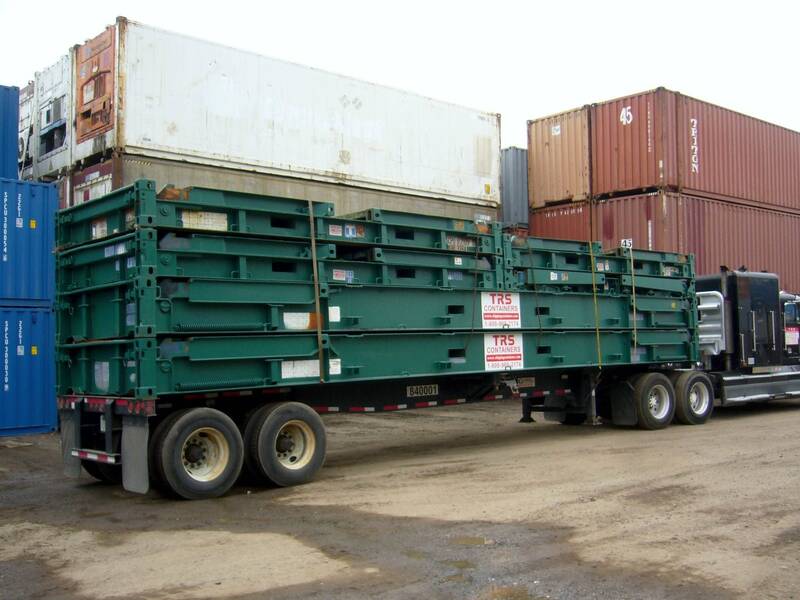 TRS stocks used 40ft Flatracks for sale and rent. Offering flexible rental periods and reasonable buyout options during the course of your lease. *Maximum payload must be distributed over the total floor area. Collapsed they are economical to transport. 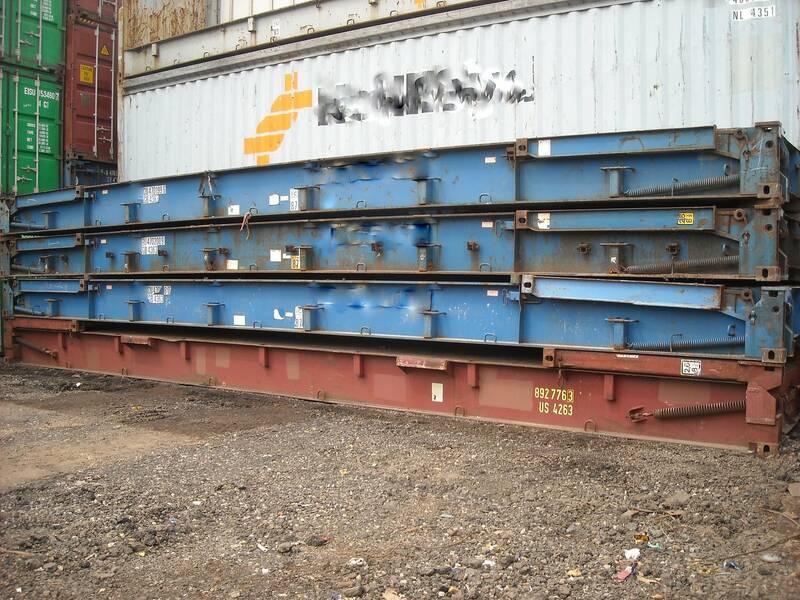 Flatracks are suitable for export but must return to TRS yard. Flushfolding end walls so it can be stacked for storage. Need less cash to obtain the assets. Racks are not fitted with sides or a top so they are easy to load. *We offer buyout options during the course of the lease. 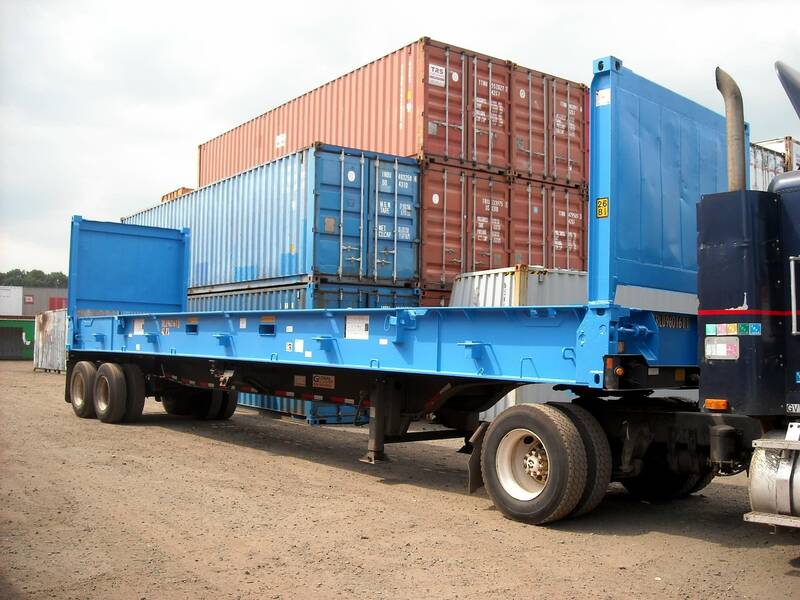 When end walls are down can function as a platform for overlength cargo. Corten crossmembers and bolsters for extra support. Equipped with lashing devices along corner posts, rails and floor. Gooseneck tunnel on both ends of the rack. Heavy duty wooden marine decking. 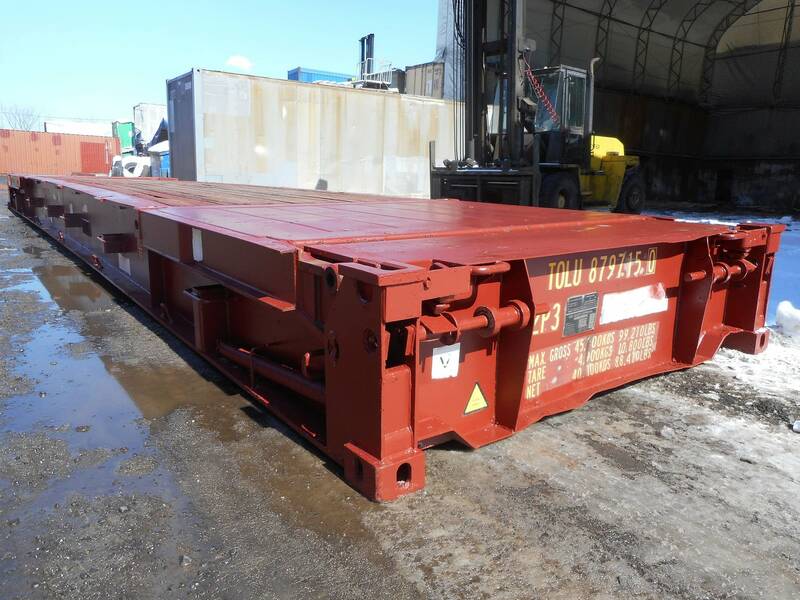 Stackable 4 high for empty transport. Max payload can be used if cargo weight distributed over full deck. Timber treated flooring to meet Australian codes.